and some boys like rough things. and some boys like tough things. ALL BOYS CAN LIKE WHATEVER THEY WANT! 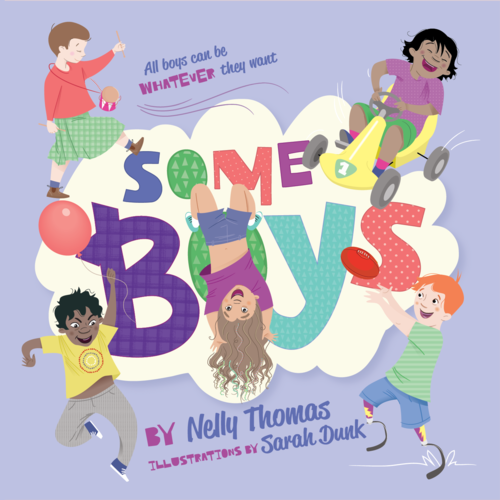 SOME BOYS is the second in a series of early childhood books by Comedian Nelly Thomas aimed at challenging old-fashioned stereotypes about boys and girls. It is a story about how everyone is different and special in their own way. Your boy might like rough, tough, gentle or pretty stuff. He might wear wears shirts, skirts, hats or plaits. He might get sad sometimes, and mad sometimes. He might feel shy sometimes and want to fly sometimes! 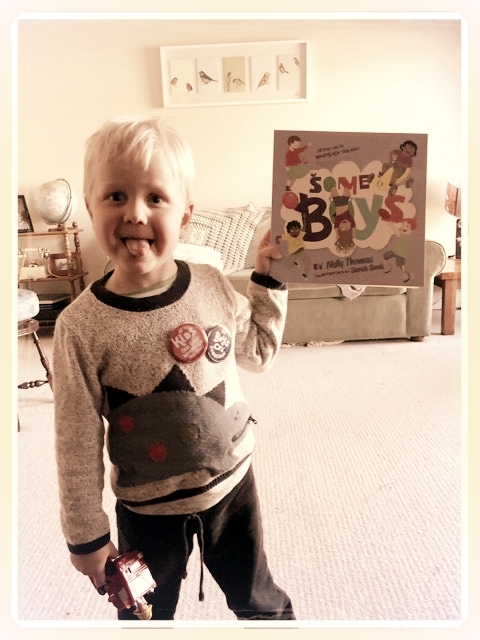 Some Boys says it’s all good – all boys can be whoever they want. 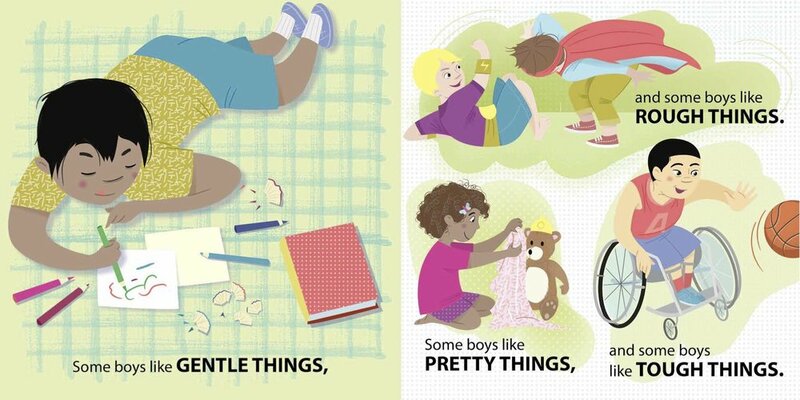 Some Boys encourages all boys to be free of stereotypes and other kids – and adults – to allow them to be. 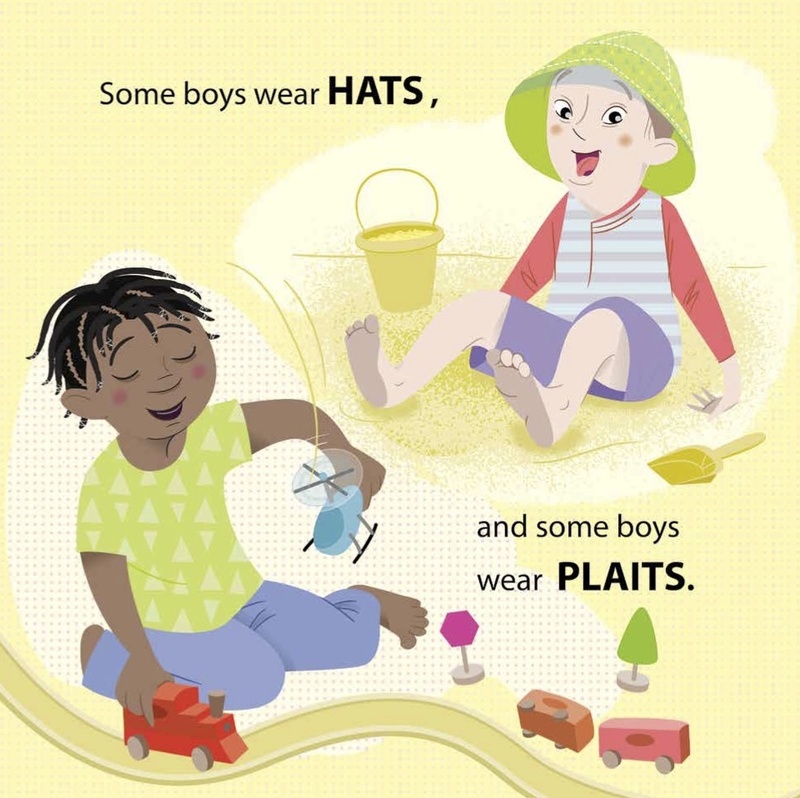 Beautifully illustrated by Sarah Dunk, SOME BOYS offers parents, carers, educators and kids a way to challenge stereotypes and talk about different ways to be a boy. It teaches kids to accept each other as they are. Some of the characters in SOME BOYS!